After a little more than 24 hours of controversy created in Colombia after the publication of an audio recording in which the manager of the country’s Public Media System (RCTV) is heard looking for options to remove a program whose presenter criticized a government bill, Juan Pablo Bieri presented his resignation to the Colombian president. On his Twitter account on Jan. 24., Bieri published his letter of resignation to the management of RCTV. In the letter, Bieri said that after recent events "wherein it is desired to distort public opinion through an illegal recording,” he is stepping aside. Juan Pablo Bieri, former manager of RCTV Colombia. Photo: Twitter. Bieri was involved in a great controversy after La Liga Contra el Silencio – an alliance of media and journalists to combat censorship –, La Pulla and the Foundation for Press Freedom (FLIP) published an audio recording of a meeting that took place on Dec. 6, 2018 in which Bieri is heard looking for options to end the working relationship with journalist Santiago Rivas, presenter of the cultural program “Los Puros Criollos,” as well as removing the program from the air. Bieri’s annoyance has to do with the criticisms made by Rivas concerning a bill promoted by the Ministry of Information and Communication Technologies (TIC) presented at the end of last year, La Liga added. The so-called TIC Law received criticism related to the creation of a single regulatory entity for the entire sector. This entity, according to its critics, would not have sufficient independence from the executive branch, La Liga reported. Rivas appeared Dec. 6 on the well-known video column La Pulla of El Espectador newspaper, making this and other criticisms of the law. At that time, the public channel Señal Colombia –where "Los Puros Criollos" broadcasts – was promoting the fifth season of this program, which it announced as "one of the most awarded series" of the channel, La Liga reported. For Bieri, Rivas' attitude meant biting "the hand that feeds him," according to the released audio recording. At the meeting, according to FLIP, in which the then-director of Señal Colombia was present, among other people, Bieri says he is concerned about Riva’s attitude and asks "what do we do with him?" and "how do we make it so that he no longer comes out in our products?”. 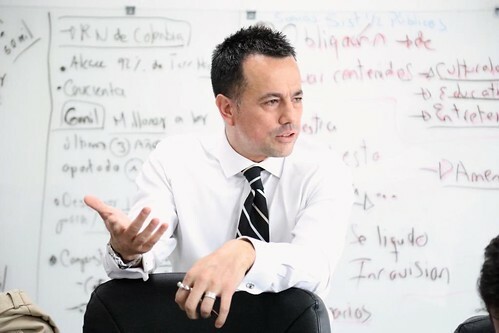 The director of the channel at the time explains to Bieri that they can not stop broadcasting the new season of Los Puros Criollos for legal reasons, and that it must be broadcast before March 31, 2019. Bieri's decision then is to change it from its usual schedule at 7:30 p.m. to one at dawn. “We kill the production. We put it at three in the morning, I have no idea, but it can not be. He does not know, let’s say he has no idea what he is saying. And second is making fun of the State, is making fun of the entity, which feeds him and pays him a salary,” Bieri said. In other parts of the conversation, Bieri ensures that the series is over, that if it ever happens again it would be with another person. "There is no possibility that in this management Santiago [Rivas] will return to work with this management, with this company, in any co-production or production," Bieri said, according to the audio recording. That same Dec. 6, a repeat of the program of a previous season that had been announced by the channel was not broadcast, La Liga reported. Speculation about possible censorship flooded social networks, but Bieri offered statements to several media in which he denied censorship, even calling these claims "false news" and RCTV issued a statement also denying censorship, FLIP reported. At present, the new season of the program continues to be broadcast by Señal Colombia at 7 p.m. 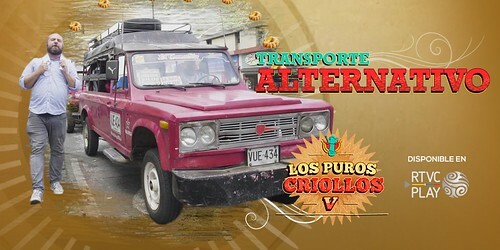 Promotional image from the program Los Puros Criollos, taken from RCTV's Twitter account. In a recent statement from FLIP with the audio recording of the meeting, the organization explained that before the publication, they communicated with the TIC Minister to show her sections of this meeting. The Minister highlighted the need to respect the legal framework in this matter, according to FLIP. “She also stated that there is full availability of the Ministry and the Government to evaluate the extent of FLIP's complaint and reiterated the unrestricted commitment of the National Government with the guarantee of the right to freedom of expression,” FLIP said in its statement. Facing the controversy generated by the audio and before submitting his resignation, Bieri published a series of tweets in which he attacked FLIP for promoting practices that he considers illegal, as violating the right to privacy. “I recommend director@flip.org.co @ FLIP_org to review their own manuals. Recording without permission is just as serious as illegally intercepting. Both are crimes and far from being evidence. #cualcensura,” says another tweet from Bieri. FLIP posted an official response to Bieri's criticism on its Twitter account through a thread. In addition to reiterating that the audio was delivered by a source to FLIP under the condition of protection of identity, and that it does not count as any illegal practice or a "chuzada" (illegal interception). “We regret that contrary to the international standards of the OECD [Organisation for Economic Cooperation and Development] and of human rights, on the protection of whistleblowers, @jpbieri intends to divert attention on the seriousness of his conduct as a public servant seeking to question our seriousness and legitimacy," FLIP tweeted. On Twitter in Colombia, the hashtag #RenuncieBieri (Resign Bieri) has been a trend.